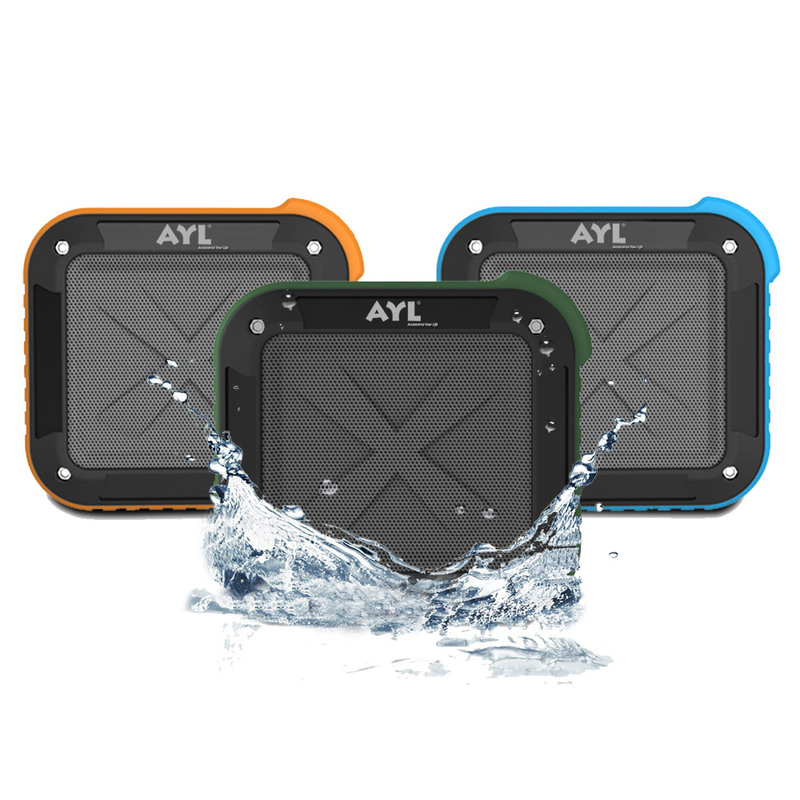 I just got and tried out the AYL bluetooth speaker. This thing is awesome! The sound is amazing!! This thing is one of the louder bluetooth speaker I have every used with my phone, I was super super impressed with the sound quality. Since it is so small it’s really easy to grab it and throw it in your bag and take with you anywhere you go. It has a great silicone loop that makes it easy to attach to a bag, belt loop, or just carry it with. I love the bluetooth mode, it hooked up to my iPhone with no problems and works with other devices that have bluetooth capabilities. It also has an audio mode where you can connect the cables and use it as a calling device or to use it with devices that do not have bluetooth like a laptop or other device. You can also plug in a SD card. It comes with a charger to charge. The battery lasts up to 8 hours before it needs to be charged again. It is a great way to play your music for a group or if you like to listen to your music on better audio then your phone speakers. I love it! I use it at my office a lot. Works great! It comes in several color combinations and it is super stylish. My favorite feature though is that it is waterproof. You can get it wet and it will not damage the speaker. So this is a great one to take to the pool, lake, beach, etc. It’s very durable and well made.